If you want to apply for a leading position, understanding your personality and highlighting your most relevant qualifications and character traits is key. Let’s find out what type of person you are! Applying for a leading position is difficult, but it can be easier if you understand how your personality is shaped. Recruiters often look for either T-shaped or X-shaped personalities. But what if you’re an I? Can you become a T or even an X? 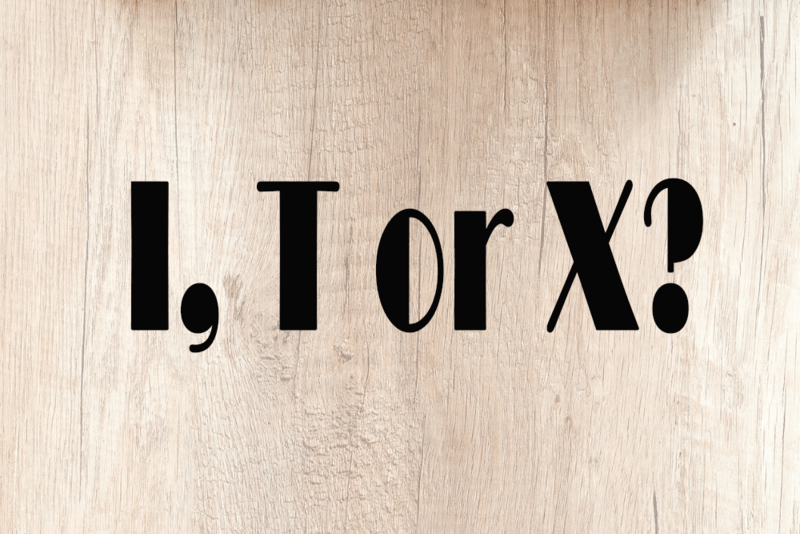 What are I, T or X-shaped personalities? I, T and X basically describe the different types of knowledge a person can have. If you’re an I, you have very deep knowledge and lots of experience in, for example, managing construction projects but you haven’t applied that knowledge to other areas. Combining the depth of knowledge with a disposition for collaboration across disciplines, you become a T-shaped personality. This disposition can include empathy and enthusiasm for other people’s disciplines, as well as broad knowledge of them. In contrast to I-shaped personalities, T’s are the more effective collaborators as they are more likely to understand other people’s perspectives and find better solutions. An X-shaped personality trumps it all: The X has everything a T has, plus a high professional credibility and the ability to lead a diverse team. How do I become a T or even an X? If from this short description you conclude that you’re “just” an I, there is absolutely nothing wrong with that. You are a “subject matter expert” and are already highly qualified and have already set the ideal grounds for becoming a T or even an X later on. For example: You’re already an expert in the field of managing construction projects. Now try to apply those skills and knowledge to other disciplines, e.g. managing projects in the fashion or the software industry. Also try to become an expert when it comes to soft skills. In order to become a great team player it is important to be an active listener, an efficient communicator and a good negotiator. Moderating skills can also come in handy, e.g. if a discussion gets out of hand or a brainstorming meeting gets off topic. Challenge yourself to learn more every day. Get out of your comfort zone and try to expand your expert knowledge and deepen it even more. And remember to practice your soft skills - you will be a T sooner than you think. Becoming an X will take time – and mentoring. Be aware that an X role isn’t for everyone, as they are mostly focused on strategy and team management rather than operative tasks. In order to evolve from a T to an X, you have to earn your bosses’ trust and achieve a high professional credibility, meaning you have to prove yourself day by day. You are not expected to acquire the skills required to lead diverse teams – creating an environment that is right for the team and enabling it to achieve common goals – overnight. One-to-one mentoring by X-shaped leaders will help you learn more quickly. Now that you know about the different types of professional personalities and what recruiters are looking for in a leader, you also know what character traits and experiences to point out in your CV when applying for a leading position. Try to find the right balance between showing your deep professional knowledge and proving your set of soft skills and soon you will have your dream job! How to Get Hired in 2019: Explore your I, T or X-shaped Personality! - InLoox • Copyright 1999-2019 © InLoox, Inc. All rights reserved.